I just accidentally found this while doing the quest http://www.wowhead.com/quest=28000 for the Rainbow Generator. 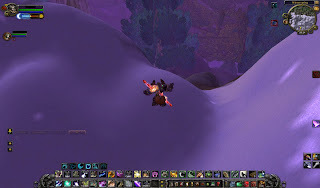 When my friend caught the imp and mounted up, her mount would have the option to jump in, acting as if that was a multi-passenger mount. This mount also has the ability to dismount during flight. Now your party mates can jump on your mount. *Works as long as you carrying the imp on your back.